When it comes to long Zwift rides and endurance training, one of the most commonly overlooked factors is recovery, and more specifically, nutrition. Too much emphasis is placed on the physical work, and the amazing resource of proper nutrition and its ability to boost performance goes untapped. Any athlete can slog through a long ride, but it takes true discipline to maximize performance with pinpoint dietary intake. Research has shown drastic performance differences between athletes who have the discipline to maintain a nutrient delivery protocol compared to those who don’t. 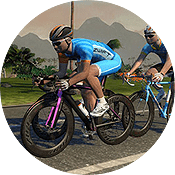 If taking your cycling to the next level is something that interests you, and/or you are getting ready to break your Zwift ride-time record, then keep reading! As you set out for a long Zwift training ride or race, you should be focused on ingesting foods and fluids that will support your glycogen stores. Research has shown that for extended bouts of high-intensity exercise, ingesting ~30–60 grams of carbohydrates per hour via a 12 fluid ounce 6-8% carbohydrate-electrolyte solution, every 10-15 minutes is the most effective means of supporting glycogen stores (3). Simply stated, you need to ingest close to 15 grams of carbohydrates every 15 minutes—with a drink being the efficient method of delivery and easiest on the digestive system. Not all sports drinks are created equal, however. Traditional ones are littered with unnecessary dyes, chemicals, and saturated with sugar, but it is super simple to make your own! For a basic homemade drink, try mixing one to two tablespoons of honey, lemon juice (or any citrus), a pinch of sea salt, and a splash of coconut water into 10 ounces of water. Get creative and make a drink that meets your digestive and taste preferences by adding in other ingredients. The simpler the mixture, the less “extra” ingredients your body will have to digest. Other great sources of sweetness for your homemade drink are maple syrup or pure organic fruit juice mixtures. I personally prefer an apple/pear juice mixture with pomegranate, YUM! Hydration is an often overlooked nutrient during endurance training, especially when riding indoors in a hot environment with limited air circulation and evaporative cooling. Like glycogen stores, being hydrated is something that cannot occur from one day of increased intake. It takes multiple days of strategic water intake to properly saturate the cells. If ingested too quickly, the body will signal the need to expel water which will take vital minerals with it during the elimination process (1). In the days leading up to your long Zwift ride or race, sip water continually throughout the day, accounting for 50-75% of your body weight in ounces at a minimum. The amount of water needed is exceptionally higher if you train multiple times a day. The effects of exercise-induced dehydration on endurance performance are well documented with several studies showing that a 2% reduction of body weight can lead to higher levels of perceived exertion, increased core temperature, and increased cardiovascular strain (5). To avoid the detrimental effects of dehydration, aim to match intake with water loss. This may require more frequent drinking and should occur before the sensation of thirst arises. If an athlete waits for the sensation of thirst to arise before drinking, then important physiological factors have already occurred. Thirst is triggered by a monitoring system whose job is to maintain a homeostatic level of blood plasma. There is an ideal value of hydration in blood plasma, and if this value dips below a specific level, the body releases hormones that will pull water from urine and the salivary glands in an effort to boost hydration of blood cells and introduces that terrible ‘dry mouth’ feeling. These hormones, notably Antidiuretic hormone (ADH), will also shunt off blood flow from the extremities (i.e. legs!) and force it into the core (4). This sequence of events can reduce your overall power output as blood is needed to provide oxygen and nutrients to those big ol’ quads. Therefore, it is important that you are drinking continually throughout the ride and drinking before the sensation of thirst arises! Eating the same foods over and over can induce a reluctance to eat or even make some foods unpalatable. Luckily, there is a huge variety of options out there if you are creative enough. Dates are an excellent carbohydrate source and naturally have a mushy texture that allows for easy snacking. They also act as an excellent “adhesive” for creating your ideal in-race nutrition. Try mashing up a handful of dates and rolling them out with a rolling pin, so that you have a date “sheet” or “foundation” about a half inch thick. Add in some extra flavor layers that suit your digestive abilities. A solid choice is a thin layer of nut butter, and a thinly-sliced layer of water-packed fruit such as honeydew or pineapple. Once you are satisfied with the contents, roll up the entire sheet and cut the sheet into bite-sized chunks suitable for easy access and digestion. Fats have a huge importance in an endurance athletes diet, but when it comes to long Zwift rides, it is best to skip fatty foods like nuts, seeds, oils, and large amounts of peanut butter and its variations. Riding at high intensity and ingesting fats increases the potential for GI distress and a feeling of nausea. During Training: ½-¾ grams of protein/lb. of body weight per day during your training period. The Meal Before Your Event: Two to three hours before your event, strive to get 10-20 grams of high-quality protein in. Hopefully the information above has given you to the ammunition to build better dietary habits to boost performance over your next long Zwift ride. Hydration, nutrient intake, and timing are essential if you wish to take your rides to the next level. Remember, any athlete can slog through a workout, but it is the disciplined athlete who maximizes every detail to enhance performance! Shayne holds a bachelors degree in Health Science in Professional Development and Advanced Patient Care, is a licensed physical therapy assistant in Massachusetts, a USA Cycling Level 1 (expert level) Certified Coach, a USA Cycling Power Based Training certified coach, Precision Nutrition Level 1 certified, a US Military Endurance Sports (USMES) affiliated Coach, and USA Olympic Committee Safe Sport Certified. 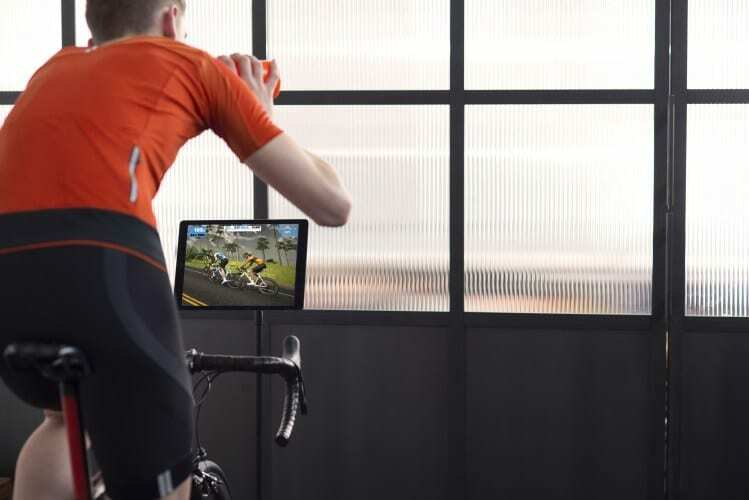 He is the owner and head coach of GC Coaching, the creator of P2 Coached Computraining, and the creator of Zwift’s Build Me Up Flexible Training Plan. He can be contacted directly via info@gaffneycyclingcoaching.com. Would have been nice if what constituted a “long ride” had been defined. Are we talking 3hrs plus, 2hrs plus, 1hr plus? At what length of ride does optimizing nutrition really come into play? I think those foods as a fuel source is great. As long as you felt like you had the energy to support your demands, you are doing things right. Do you have a specific question you’d like my opinion on? For me, anything 90+ minutes on Zwift – 1 water bottle with Nuun tablet per hour. 2 Cliff shot bloks every 30 minutes. Agreed, 90+ minutes tends to be where the ‘long ride’ duration happens and will require supplementation of carbohydrates as your glycogen stores tend to become exhausted around the 90 minutes mark. Way to go! Hey Shane, great article, thank you. I tend to do a lot of riding before I go to work in the morning often times getting on the bike around 4.30 or 5.00 am. 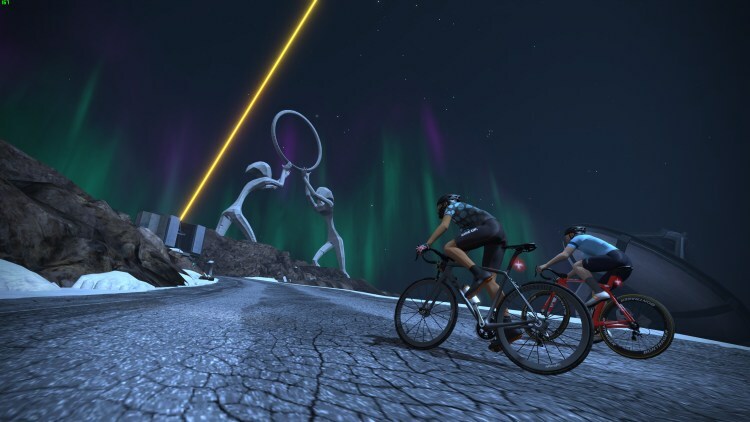 Right now in Wisconsin with our crazy cold weather it’s on Zwift, and in season, outside. At this hour of the morning, I certainly don’t have time to adequately fuel up in advance for a 90+ minute ride. What do you suggest be done differently if the only opportunities I have to fuel up are the night before, while getting ready to go, or on the bike? 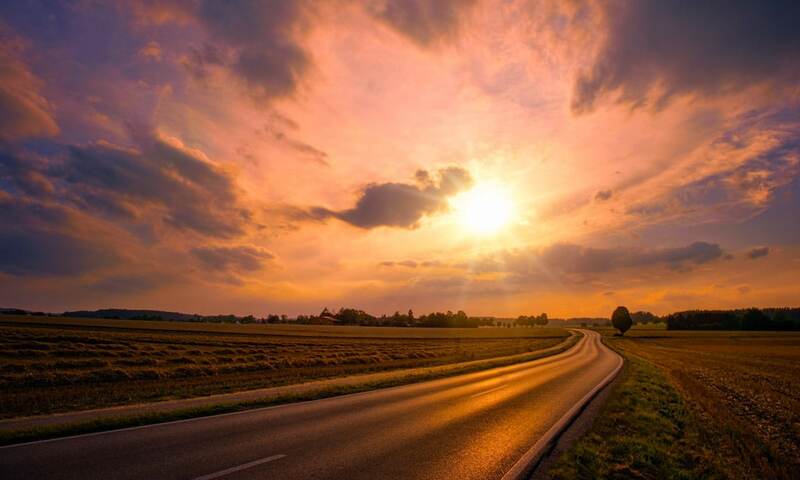 I would apply some of the options you’ve prescribed in your article, but are there other things to consider for those of us that head out at sunrise for either training rides or longer endurance trips? Thanks! For really early morning rides, the key is to have as much glycogen on board as possible, especially if your workout involves high intensity. So, I’d suggest eating another serving of carbohydrates at dinner (a cupped handful). Another option is consuming a simple carbohydrate in the morning which can be drinking some juice, having an english muffin with honey, etc. Just keep the fiber / fats low in the morning if you go that route to avoid any potential GI distress. On the bike, I’d stick to the plan outlined above, especially if your ride is going to last >90 minutes. After the ride, make sure to replenish your glycogen stores, and calories, by consuming a carbohydrate and protein dense meal right afterwards (a recovery smoothie works really well here), then an actual meal within 1 to 2 hours. Thanks for all these good advices. How long in duration would you define a “long” ride? Shayne, interesting article thank you. Could you clarify the guidance around pre-ride hydration please? Are you suggesting that you should drink the equivalent of 50-75% of your body weight in water in the day(s) preceding your ride? So assuming you weighed 65kg, you would want to drink 32kg or 32 litres of water? That sounds like a huge amount, am I missing something? Personally, my tolerance to carbs and sugar is very low and thus I have eliminated them from my diet. Fat can be a much more efficient source of energy if you are “fat adapted” which can take 4 to 6 weeks. Body weight should be in pounds (sorry, I’m American 😉 ) and 50-75% of that number. So, based on your example // [65kg = 143 lbs] // [143 lbs / 50-75% = 71.5 – 107.25] // = 2 to 3 liters. Fat adaptation gets you to the climb most efficiently, but carbohydrates get you to the top first. I always advise being carb and fat ‘adapted’ since the sport requires both long steady state work, and all out pushes – sometimes in the same event / race.